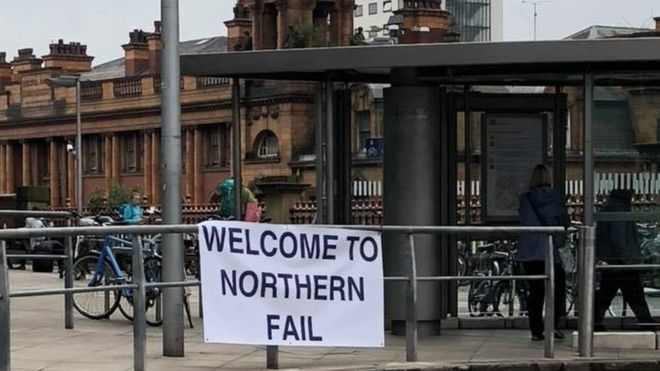 It is a drum we here at Quatro have been banging for a while now, but one that desperately needs to be heard: The North needs better transport. This is the cry that we Northerners have been making for decades now, yet it still manages to fall on deaf ears in Westminister. This week, however, research by the Institute for Public Policy Research made the inequalities our region faces within transport investment startlingly clear. The report found that while London received £1,940 (per person for transport from the government from 2016/17 onwards), the North on average only received £427. There was also great inequality between the different regions of the North; whereas the North West received £682 per head, Yorkshire and the Humber received the least in the whole of England, with only £190. The fact that transport in the North is so poorly funded in comparison to London is something that anyone who has been on the 17:35 from Doncaster to Sheffield could have already told you. But the scale of the underinvestment this report highlights is alarming and, importantly, the gap between North and South has been widening. In the past few years, the capital has seen an increase of £326 per person in public spending, whereas the north has seen £146, an increase of less than half. Yorkshire and the Humber, again, showed the worsed figures, seeing funding actually fall by £18 per person. This is more than just unfair for our region. Public transport investment is essential for the Northern Powerhouse initiative, especially in a post-Brexit economy. An extensive, reliable public transport network within the key Northern cities is a vital element in creating an attractive business environment. And a good and fast rail service connecting the whole of the North is vital for distributing economic prosperity between cities, as well as to the provincial towns and villages. However, there is a solution to this problem, with the obvious being more money. But this would require Northern political, business and civic leaders making a unified case to Government of the economic benefit too, not just the North, but to the county as a whole. Beyond the issue of funding, the report also argues for Transport for the North to get Transport for London levels of powers and also suggest the creation of ‘Northern Infrastructure Bonds’ to fund Northern Power Rail as well as other key projects.